The 28th edition has fourteen artists and cultural centers participating, and seven bars and restaurants providing special culinary promotions and events. 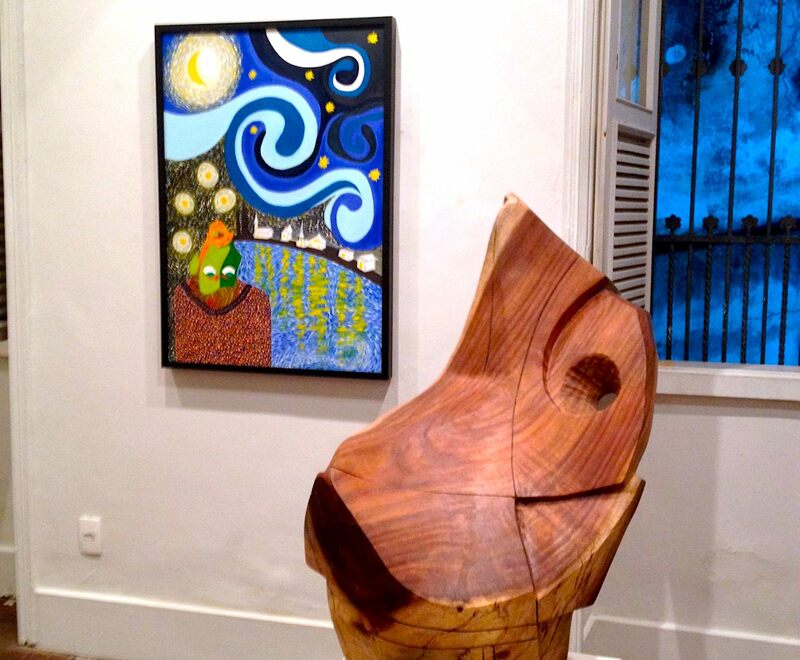 RIO DE JANEIRO, BRAZIL – The bohemian hillside neighborhood of Santa Teresa will host the 28th edition of Arte de Portas Abertas (Art of Open Doors) on September 1st and 2nd (Saturday and Sunday) from 10AM to 6PM with free exhibits and attractions. The 28th edition of Arte de Portas Abertas has fourteen artists and cultural centers participating, and seven bars and restaurants providing special culinary promotions and events, photo internet recreation. This year’s edition has fourteen artists and cultural centers participating, and seven bars and restaurants providing special culinary promotions and events. The annual event is organized by Chave Mestra (Master Key), Association of Visual Artists of Santa Teresa, and will open the weekend tonight, Friday, August 31st, at 6PM, with the inauguration of a collective visual arts exhibition, and actress Leila Viany will interpret the monologue “Dinorah” and the choir Encanta Santa will perform under the regency of Master Roberth Salles. 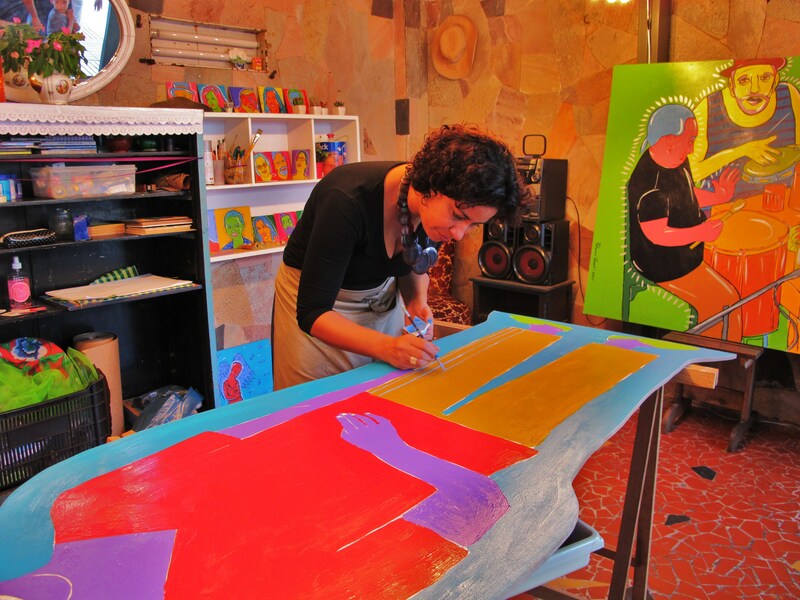 An artist working during Portas Abertas in 2011, photo by Candy Pilar Godoy. Highlights of this year’s event include the “Art and Resistance”, a series of urban presentations in various spaces of Santa Teresa. Also noteworthy is the participation of Xico Chaves, coordinator of visual arts of FUNARTE, will debate the limits and possibilities of visual arts in an expanded field at the Laurinda Santos Lobo Cultural Center on the Saturday, September 1st, at 6PM. Solar Mariano, on both Saturday and Sunday, at 7PM, has the presentation of the Banda Escaravelho (Beetle Band) and short screenings. The Solar will also host an exhibition with works by artists Alcir Dias, Sandra Nunes and Vanderlei Figueiredo, associates of the Chave Mestra. Also the Parque das Ruínas hosts a roundtable discussion with Roberto Cuíca on Sunday, September 2nd at 2PM. The artist talks about the Santa Teresa photographic collection of the 70’s and 80’s. The workshop coordinator of Paraty em Foco, Jacqueline Hoofendy, presents a conceptual self-portrait research. The quaint Arte de Portas Abertas event has established itself as a must-see exhibition on Rio’s arts calendar, and a great excuse to spend the day it the already magical neighborhood of Santa Teresa in Rio de Janeiro.